As equity markets fall with fear of a global economic slowdown investors seek the safety of government bonds and gilts sending 15-year gilt yields close to the all time low of 1.68% before recovering. Equity and gilts market end the month about where they started even with significant volatility following further fears of global economic slowdown. 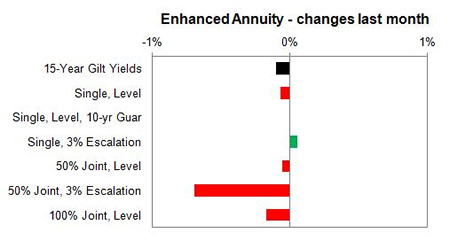 Annuity rates were generally unchanged or with small increases and decreases after the 15-year gilt yields falling to their all time low before recovering to be only 1 basis point down for the month. 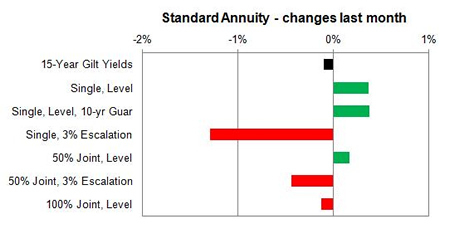 Standard providers decreased rates by 0.08% and we would expect to see annuities fall by a further 0.93% in the medium term. 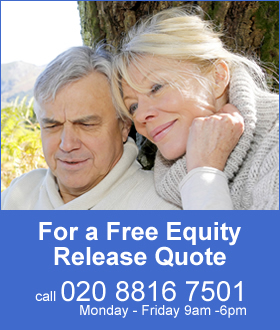 Smoker and enhanced annuity providers increased their rates by 0.09% on average and in the medium term rates may fall by 1.07%. The majority of rates increased with 80% rising, 14% remaining unchanged and 6% decreasing. The majority of standard annuities increased by up to 0.4% during the month and only people aged 75 with single life, 3% escalating annuities reduced by 4.64%. For enhanced and smoker providers rates remained unchanged or decreased slightly although for people aged 65 with a 50% joint life, 3% escalating annuity the rates reduced by 2.30%.